In a laboratory setting, the use of an analytical balance is crucial in weighing chemicals that will be part of various chemical reactions. Each chemical reaction requires the reactants to hold an exact weight in order to successfully carry out the equation and yield the desired results. Weighing chemicals on a balance requires some basic, indispensable steps that one must adhere to for the best results, while keeping in mind that weighing chemicals inaccurately can lead to hazardous reactions. 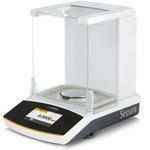 Balances have the ability to measure up to one tenth or a milligram (one ten thousandth of a gram). This may not hold true for floor scales, digital scales, or basic gram scales. On the balance there is a tare button which is used to bring the balance back to zero. Pressing the tare button is the first step, and one should be extremely careful not to overlook this. The balance may be accurate, but if it starts out at anything other than zero, the chemical will be weighed incorrectly. When a chemical is being weighed in a small dish or pan, this container must be placed on the balance and the tare button should be pressed to bring the weight to zero; the point being to exclude the weight of the container from the weight of the chemical substance. In addition, containers must be dry inside and out, as a droplet of water could affect the weight and once it dries the weight will be undervalued. It is not uncommon to have ovens in the laboratory for the very purpose of drying substances before weighing them on the weighing scale balance. Certain industrial scales may be able to withstand environmental factors as slight as a draft in the air, but the balance is extremely sensitive, and this cannot be understated. To assure that a chemical is weighed to the highest degree of accuracy, it may pass from one balance to the next with a weight given from five or more balances. It is necessary to move the substance from one balance to the next using the appropriate methods of transfer. This means that any oil or residue on the fingers should not come into contact with the substance and the container it rests in. Due to the sensitivity of the balance, any minute factor could shift the weight of the chemical substance. Keeping a chemical substance capped can help prevent moisture from the air affecting the measurement. All precautions must be taken to assure that the reactants are properly measured on the digital scale balance. The methods discussed above are not all inclusive but they do illustrate the fundamentals of using a balance to measure a chemical substance. These methods are not optional, but rather necessary in carrying out successful chemical reactions.